It’s a grimdark mash-up when Games Workshop’s iconic Warhammer 40,000 meets WizKids’ Dice Building Game in Warhammer 40,000 Dice Masters, which streets next July. 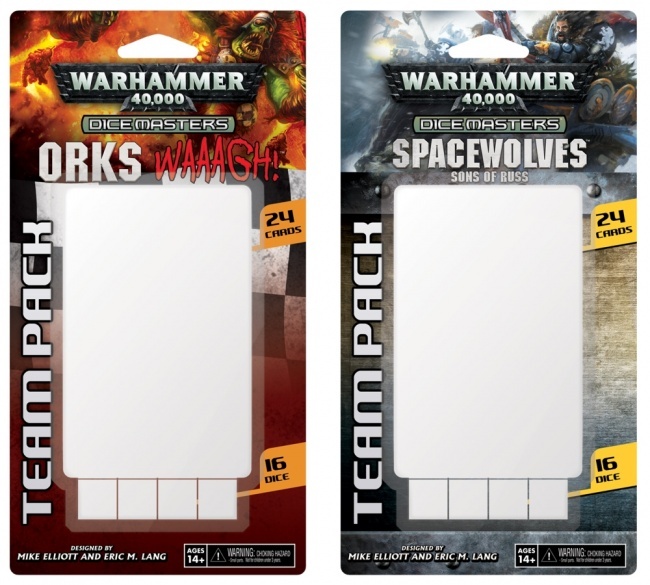 The initial wave will include the Battle for Ultramar Campaign Box, the Orks – WAAAGH! Team Pack, and the Space Wolves – Sons of Russ Team Pack. 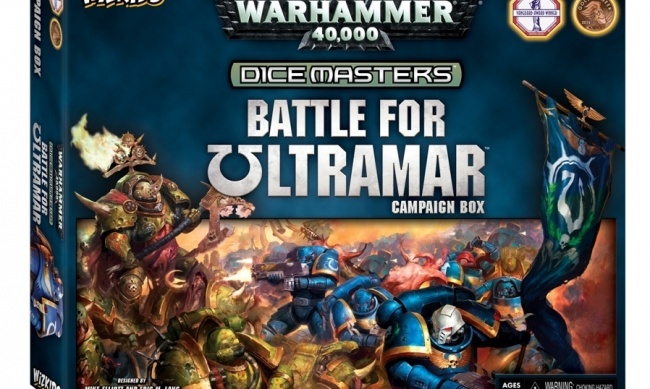 The initial release of Warhammer 40,000 Dice Masters will be centered around the Battle for Ultramar Campaign Box. 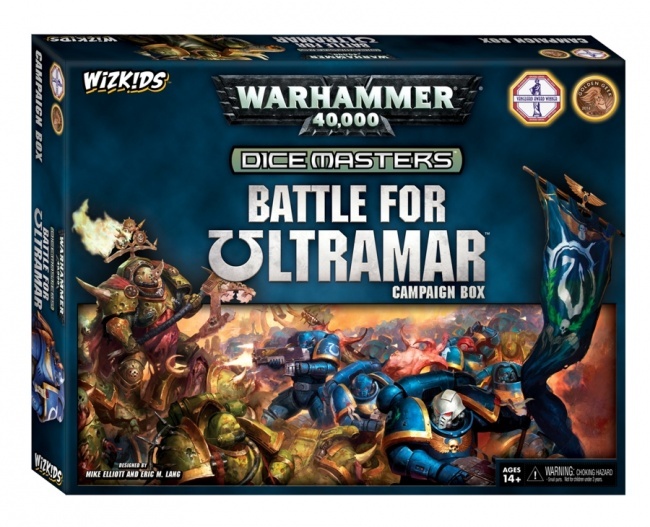 This starter box will be a fixed content set that includes everything needed for two players to play the game: a force of Ultramarines, a force of Deathguard, Sidekick dice, Basic Action dice, and dice bags for both players. More than 12 characters appear in the set, including the Ultramarines Primarch Roboute Guilliman and Chief Librarian Tigurius, as well as the Deathguard heroes Typhus and Mortarion. MSRP is $39.99. Players can expand their games with two separate Team Packs, each introducing another faction to the game. The Orks – WAAAGH! Team Pack offers the uncontrollable Orks, with the infamous Ork warlord Ghazghkull Thraka and the Boyz and Warbikers under his command. The Space Wolves – Sons of Russ Team Pack, meanwhile, introduces Logan Grimnar and the Venerable Dreadnought at the front of a Space Wolves Space Marine force. WizKids announced plans to produce a series of games set in Games Workshop’s Warhammer 40,000 universe back in October (see “WizKids, Games Workshop Join Forces”). Warhammer 40,000 Dice Masters follows a new DC Comics Dice Masters release in April (see “Harley Quinn Pulls a Bait and Switch With ‘Dice Masters’”) and a Marvel Dice Masters title in May (see “‘Marvel Dice Masters’ Reaches ‘Infinity’”). Click the gallery below for full-size package and card images!